Amy Purdy | Bill Baxter's Colorado Sports Blog. Toastmasters Speech Given on 4/7/14. Toastmasters International gives out the Golden Gavel Award every year to Non Toastmaster Speakers who strive to make a difference in others lives. Various Toastmasters Districts give out C & L Awards (Communication and Leadership) to Non Toastmaster Members for the same reason. Motivational Speakers strive to make a difference in others lives by persuading them to stick to pursuing their goals, and not let anything weigh them down or detour them from pursuing their goals. After awhile, the Motivational Speakers Goals come second. So it is with Motivational Speaker, Paralympic Snowboarder, and Dancing With the Stars Contestant, Amy Purdy. Amy M. Purdy was born on November 7, 1979, in Las Vegas, NV. At age 19, she contacted Bacterial Meningitis. This caused problems which caused her to lose both of her kidneys, her spleen, and both of her legs from the knees on down. Her father donated a kidney which saved her life. She had to have two prosthetic legs. She, however, vowed not to let this defeat her. She strive to become a great snowboarder. She recently won the Bronze Medal in the 2014 Paralympics in Sochi, Russia. She also became a Motivational Speaker, and went around the country sharing her story in attempts to persuade people to stick to their goals and not let anything (like prosthetic’ s, developmental disabilities, or anything else) slow them down or detour them from pursuing their goals in anyway. She did this to the point that her own goals and accomplishments started to come in second. This is Amy Purdy’s mission and her passion. Around the time she was to compete in the 2014 Paralympics, she was asked to be a dance contestant on Dancing with the Stars. After winning the Bronze Medal, she boarded a plane back to the USA to be on the show. Up to then, Amy Purdy was a very accomplished woman; but, the minute she stepped out onto the stage with Professional Dancer, Derek Hough, she had become a celebrity. Her passion for making a difference in other’s lives as a Motivational Speaker has carried over onto the dance floor on Dancing with the Stars, and she has inspired many people. Her wanting to inspire others has come first, where her goals have come in second. In conclusion, I hope I have persuaded everyone here tonight in two ways: 1) Hold fast to Amy Purdy’s messages and stick to pursuing all of your goals and dreams, and don’t let anything (such as disabilities) hold you back from pursuing your goals and dreams; and 2) I hope all of you will agree with me in recommending Amy Purdy to be a recipient of the Toastmasters International Golden Gavel Award, or a Toastmaster District C & L Award, or both. Amy Purdy deserves this, just as she deserves to win on Dancing with the Stars. Shortly after winning the Bronze Medal in Snowboarding at the 2014 Paralympics in Sochi, Russia; Amy Purdy returned to the USA to compete on Dancing With the Stars. During the first three weeks of the Dance Competition, she has not obtained a score of anything less than “8 (out of 10) from any of the judges. Winning the Bronze Medal at the Paralympics in Sochi, is a big accomplishment; But, her first 3 weeks competing on Dancing With the Stars has made her a celebrity! 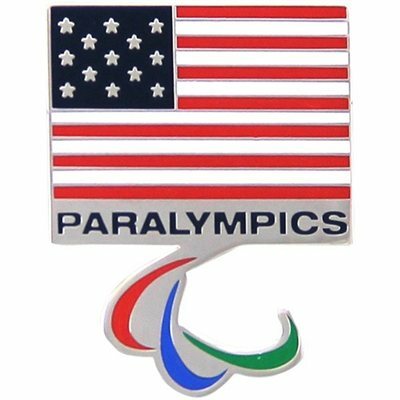 Written by billbaxterdtm Leave a comment Posted in Amy Purdy, Olympics., Paralympics, Winter Sports	Tagged with Amy Purdy, Paralympics, Winter Sports.